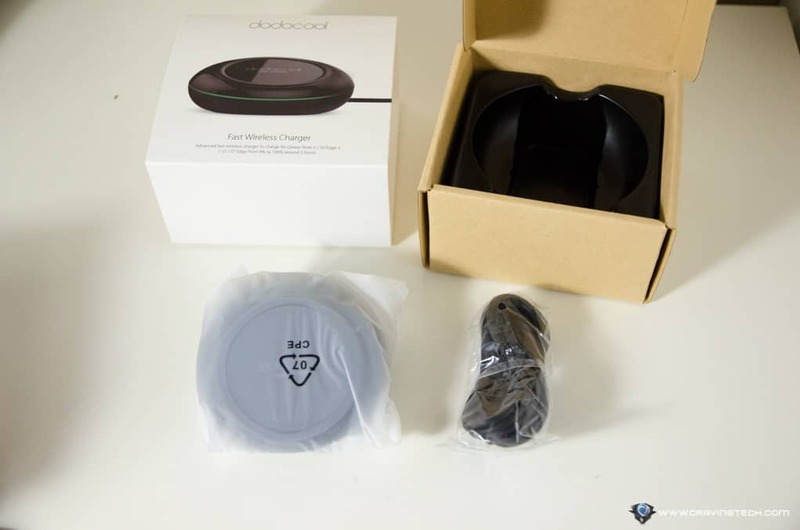 Dodocool Wireless Charger Review (DA91) – During the iPhone X Keynote, Apple mentioned any Qi-compatible wireless charger should be able to charge the iPhone 8/8 Plus/X through inductive charging. 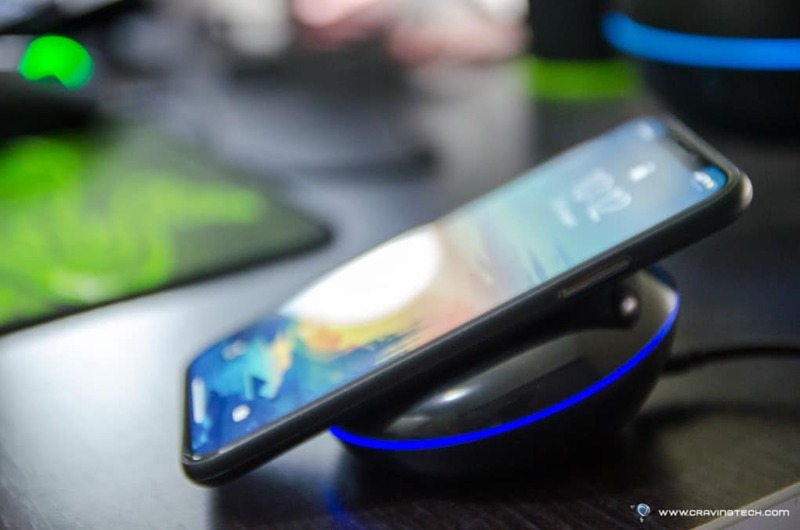 Although they highlighted Mophie and Belkin who offered wireless charging pads for the iPhone, there are plenty ones out there without having to break your budget and work as good, if not better. 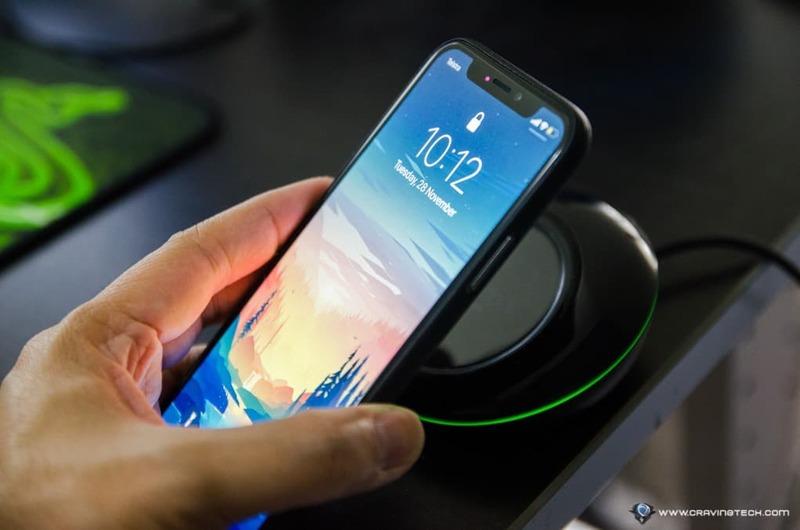 Dodocool 10W Fast Wireless Charger is an example of Qi-compatible wireless charging pad and it can charge your smartphone quickly, and safely. It has a built-in over-current, over-voltage, and short-circuit protection. This gives safety of mind, especially if you normally leave your phone charged overnight like I do. 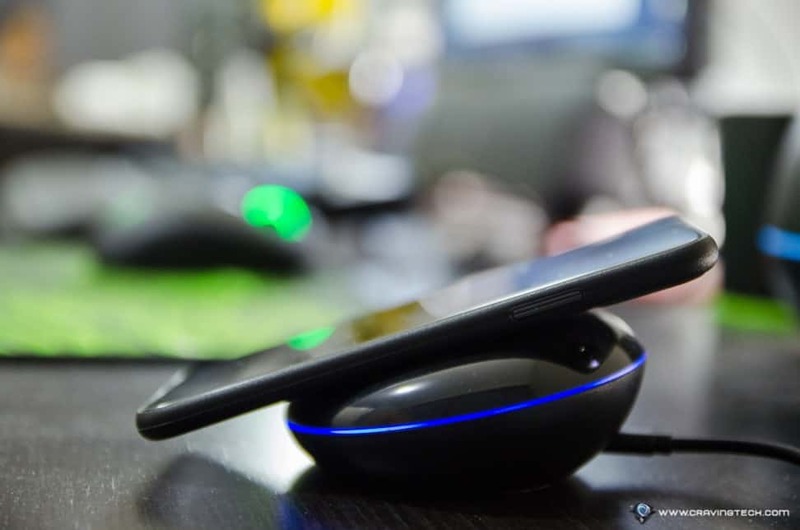 Unlike the rather-bland-look Belkin wireless charging pad, Dodocool’s looks better and more stylish. It looks good on the desk and the stylish LED indicator ring adds an aesthetic value to it. The indicator glows green when the charger is on stand by, and turns blue when it’s charging a phone. The LED indicator light is not just there for the show though. It actually helps me a lot in figuring out whether the phone is being charged properly, especially when I’m already lying down on my bed – without having to check the phone manually. 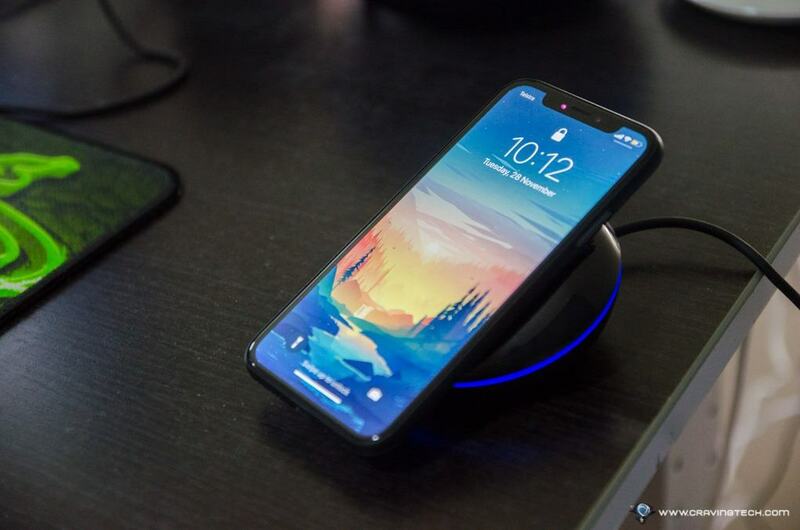 The charging pad is somewhat soft magnetised, as I found that my iPhone X (read my review on it) sticks quite well even on the angled surface. Thanks to the angle though, it’s easier to see the screen if you need to check the phone’s battery level or to check for missed notifications. However, your phone may fall off it if the phone vibrates hard enough. The silicone strap around the surface gives a softer touch to your smartphone while it’s placed on the charger, and the one at the bottom keeps the charger in place on the desk. 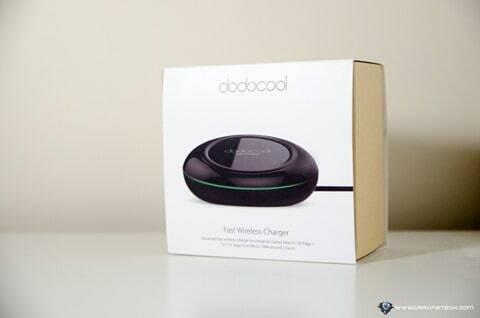 Dodocool Fast Charge Wireless Charger will smartly detect the voltage of your device and pick the right charging voltage accordingly. For example, it supports Fast Charge (10W) for devices that support it like the Samsung Galaxy Note8, and Standard (5W) for all standard Qi-enabled devices. There doesn’t seem to be an in-between option like a 7.5W charge though (which is supported now on the iPhone X). Overall, I’m really pleased with Dodocool 10W Fast Charge Wireless Charger (DA91). It looks stylish, and getting a phone charged is as easy as placing it on the slidely-angled surface. Placing the phone on the pad always works all the time, unlike most chargers that require you to place the phone perfectly at the center. Best of all, it’s very cheap compared to well-known branded like Belkin or Mophie. 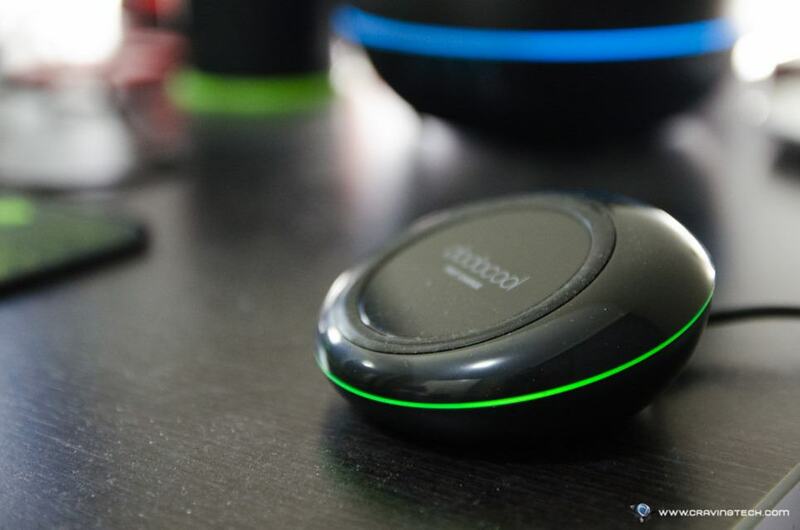 You can get the Dodocool Wireless Charger over at Amazon for USD$19.99. Note that it does not come with a power adapter, so you need to plug it to a USB slot on your power board (hopefully you have one).